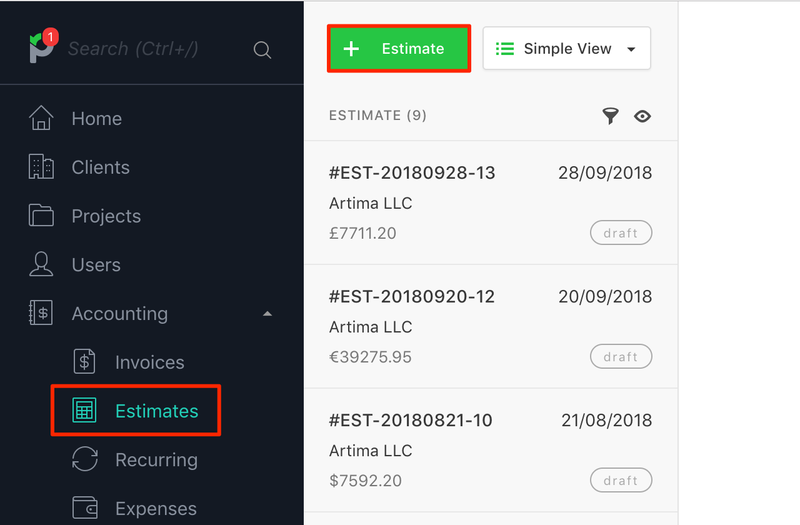 You can create an estimate by going to Accounting → Estimates → + Estimate. There you will need to add items to the estimate and save it. 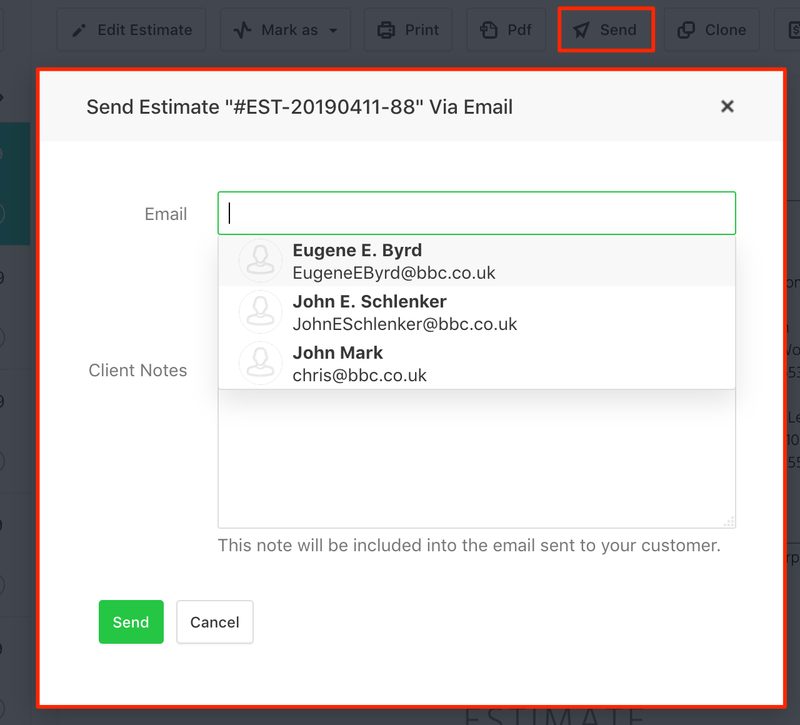 You can send it to the client by clicking on the Send button and select from the contact dropdown. If an estimate is accepted by the client, you can turn it into an invoice by clicking on the Invoice button. You can also convert projects into estimates.